A yellowish powder or pellet with a pungent odour, soluble in water. It can form insoluble compounds with metallic ions e.g. : cobalt, copper and nickel etc. As a collector, the selectivity of sodium ethyl xanthate is the most strong in xanthate line. It is widely used in the preferential flotation of fine flotability or complex sulfide minerals. It is also used in the flotation of copper, lead oxide ores in conjunction with vulcanizing agents. It is also used as precipitant in hydrometallurgical processes(eg. 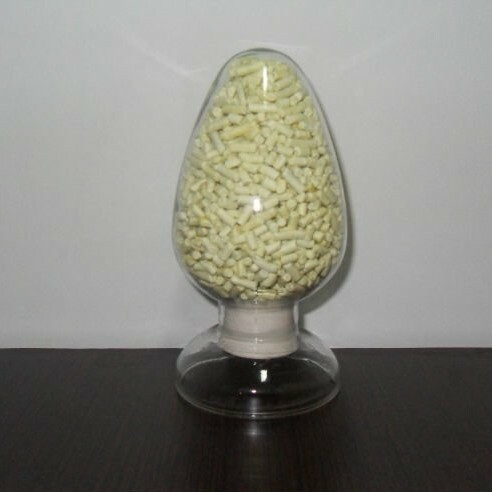 the refining of zinc electrolyte) and as sulfidation promoter of rubber.